Norway, Part Nine - Arms or Not? 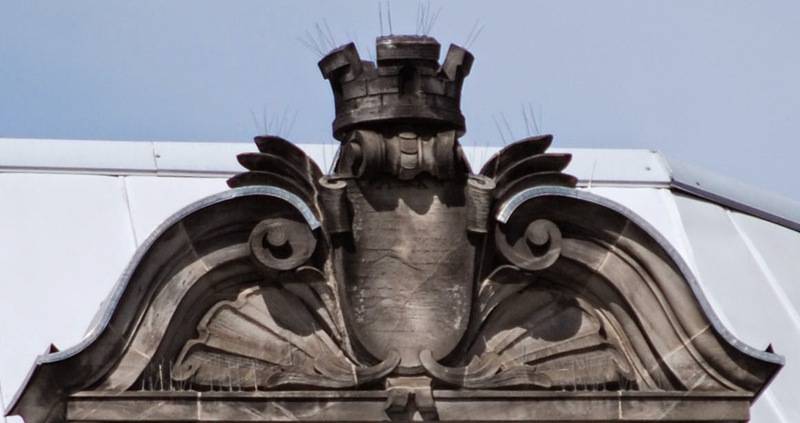 Does Dublin Need "An Updated Coat of Arms"? 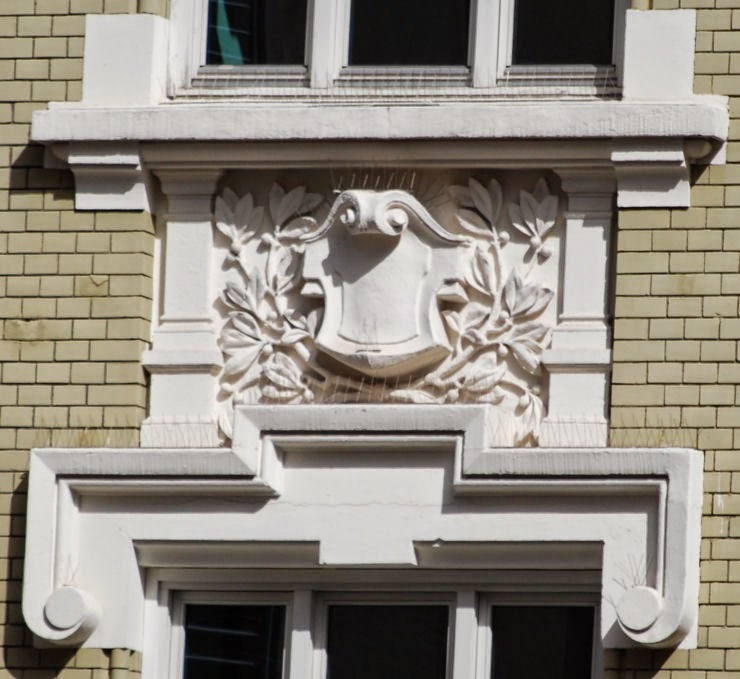 I love to see heraldic decoration on buildings, you know? Especially some of the baroque stuff with flourishes and frou-frou around the shields. But there are occasions when I think they just missed taking it that one final step that would have made it ideal. And what step is that, you ask? Why, the step of placing something heraldic actually on the shield! You know, like, say, a coat of arms! But, no. 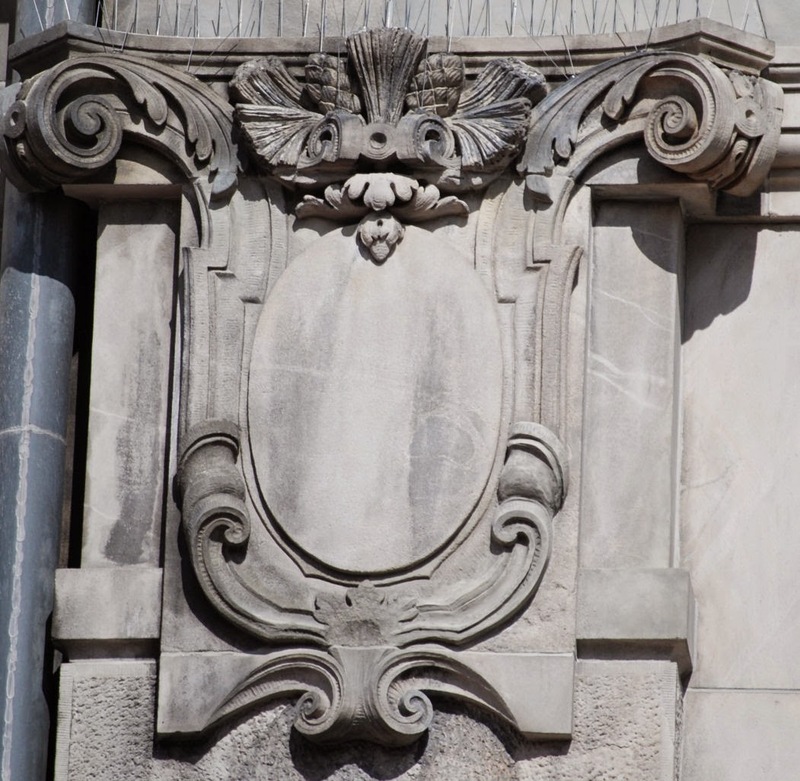 I regularly see blank or empty shields and ovals and cartouches wherever I go, crying out to have heraldry placed on them. (Sometimes, I swear, if I had a few cans of spray paint. Say, in the basic heraldic tinctures.... But no. That would be considered to be vandalism, and I am generally against vandalism. Still, it is one of the temptations that I face. As I did in these examples in Oslo. He's obviously crying out because someone stole the charges off of his shield. That's my story and I sticking with it! Nope, that's not a fleur-de-lis in the base of those shields. It's just part of the rococo decoration. I know what you're thinking. But no, Neither one of those two above are Azure plain. Would that they were. 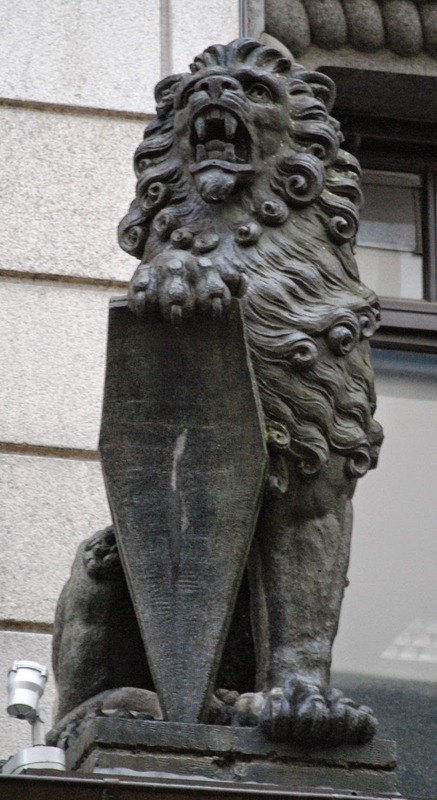 I think that not even the artist(s) who created them could stand seeing a plain, unadorned shield surface there. Like this one here is. See? 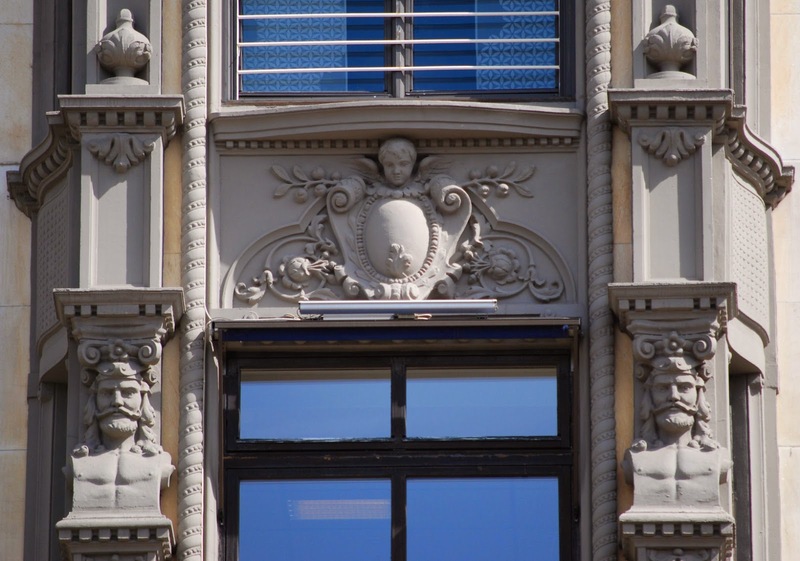 Aren't you tempted to just surreptitiously drop by with a little paint and draw a coat of arms on some of these? Or all of these? Aren't they just crying out to have some real heraldry displayed upon them? 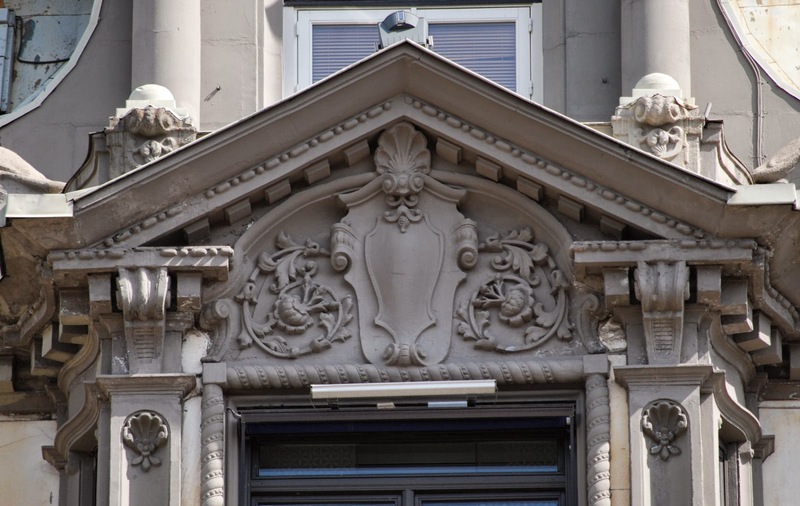 My guess is that these designs were taken from architectural and heraldic pattern books, originally intended to be fitted with a patron's arms but there was no aristocratic patron, only a commercial builder. 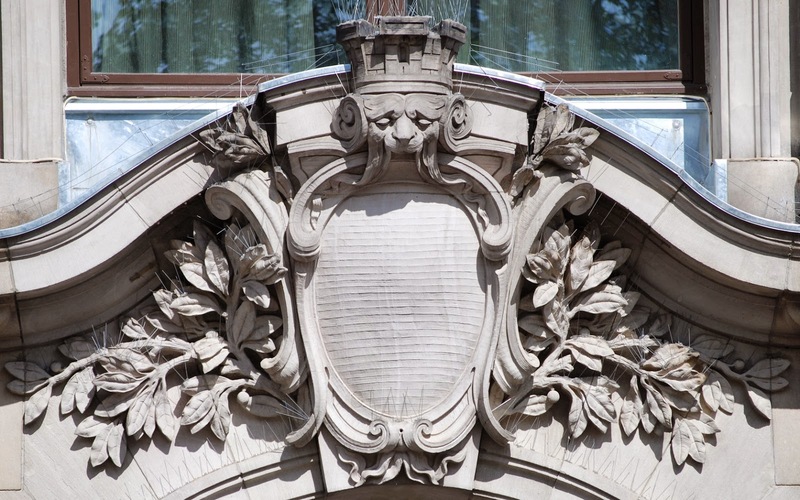 You find the same thing on pre-war Manhattan apartment buildings, often designed in Italian Renaissance style complete with empty horsehead shields. That certainly may be the case. It would, indeed, help to explain the plethora of such shields that I see wherever I go, whether here in the United States or in Europe. It's a shame that the "decoration" aspect has gotten separated from the "heraldic" part of its use. And it still leaves me with the desire to drop by some of them with several colors of paint and turn them into what they should be - coats of arms.